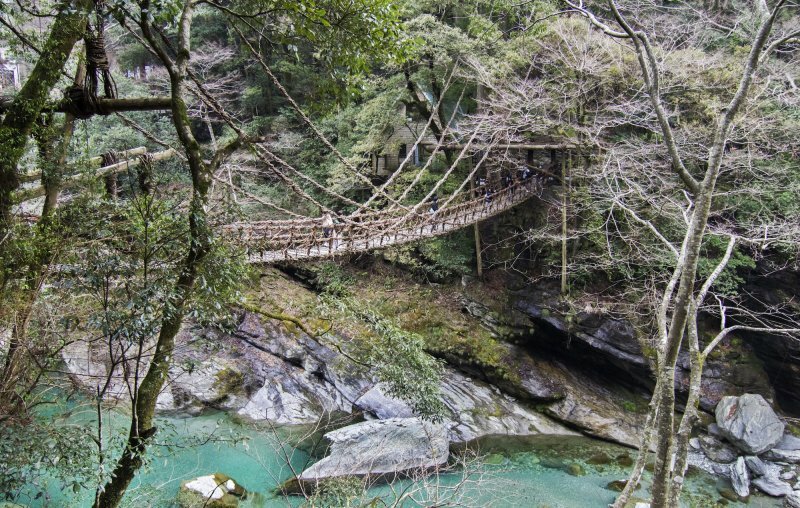 People of Nishi-Awa region in western Tokushima understand very well that culture is organic, a living thing that is shaped by land, evolves with exposure to outside influences, and develops its roots by getting incorporated into lifestyles of the next generation. 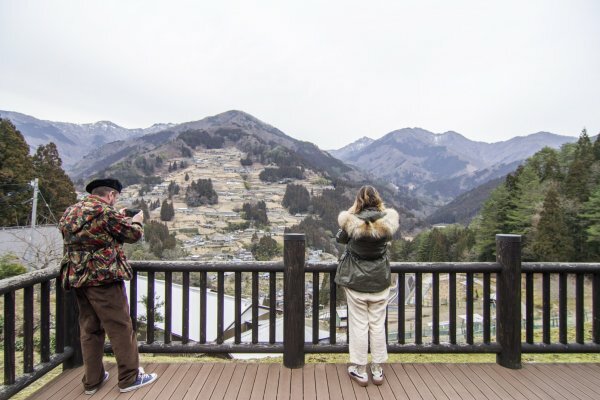 While this mountainous region is faced with decreasing population like most areas of rural Japan, the community’s continuous effort to not only pass down but to share their traditional lifestyle with the younger generation and visitors from overseas has been met with unparalleled success. In hindsight, this proactive spirit to adapt promptly to challenging conditions might be itself a time-tested custom of the region. 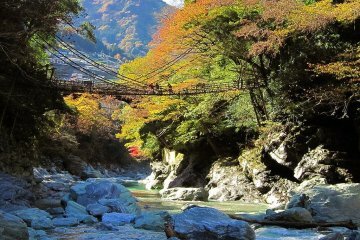 Covered in mountainous forests with steep gorges, Nishi-Awa region comprises four areas including Miyoshi, Mima, Tsurugi, and Higashi-Miyoshi. 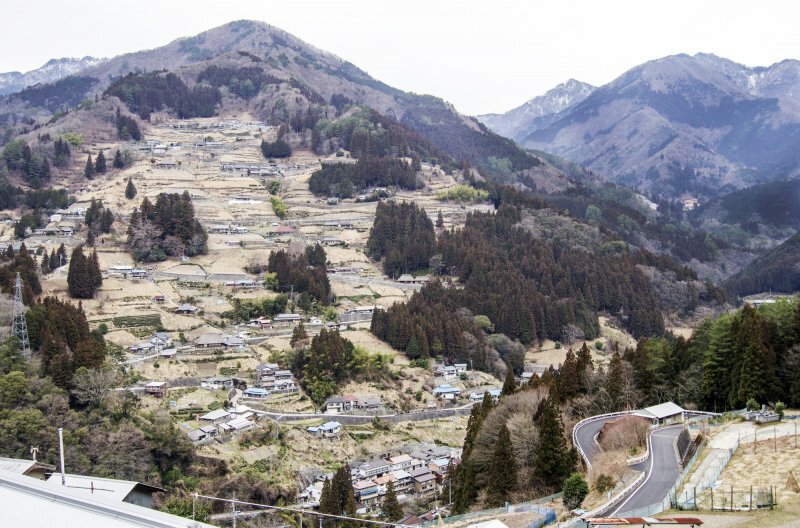 It is believed that people in the famed Ochiai Village in Miyoshi and other hamlets in the region settled in the highlands to avoid flood as well as to benefit from longer sunlight for farming. 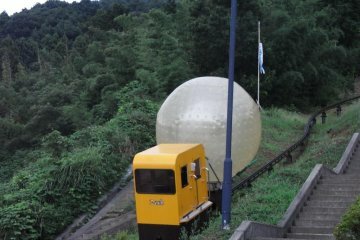 However, living and farming on a steep slope requires adapting to the environment. For an example, to prevent soil from running down, farmers go through a painstaking job of lifting it up from the bottom up with a rake-like fork. 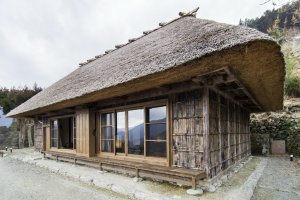 A large amount of susuki (Japanese pampas grass) is grown not only to make thatched roofs but also to cover and prevent the ground washing away in rain. Although rice is difficult to cultivate on such conditions, other plants benefit from the terroir. Because millet, buckwheat, and potatoes thrive in dry soil, they have become a major staple. 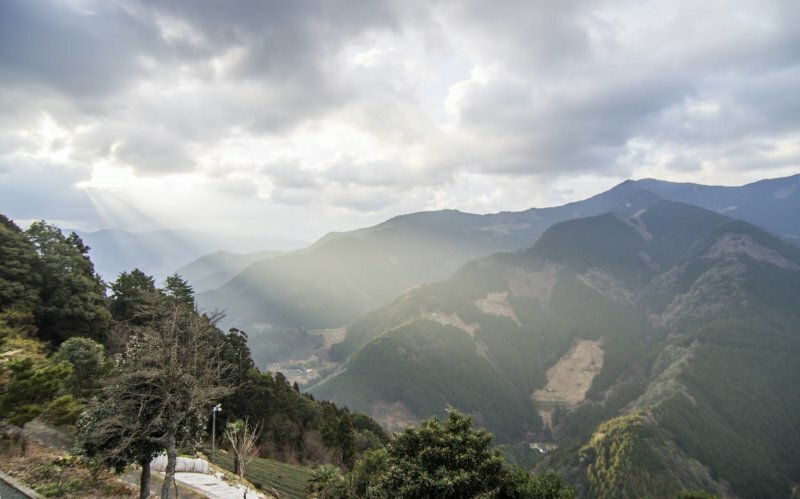 Native species of green tea also flourish at high altitude because of the large temperature difference between night and day. 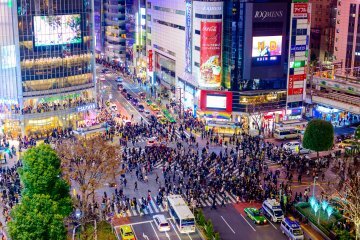 A common food like tofu is also made to adapt. 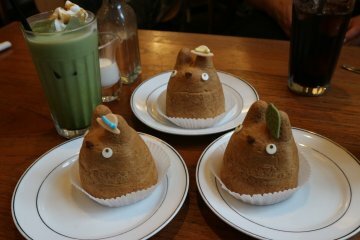 Named ishi-dofu, “stone tofu,” is produced extra firm so that it won’t fall apart when carried on a rocky road. In terms of animal protein intake, instead of raising livestock, gibier or wild game meat like venison and boar are hunted from forests. 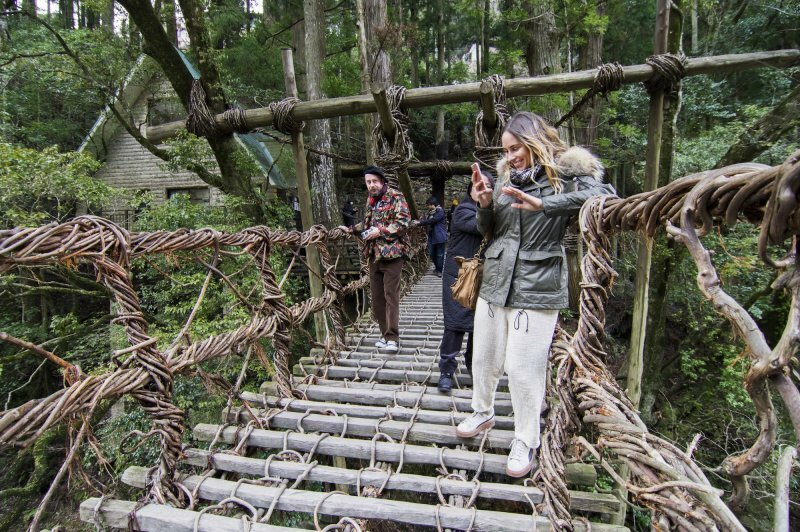 Indigenous foods are cooked and served in the most traditional way at Tsuzuki Shoten, a mom-and-pop restaurant located on a winding mountain path in Miyoshi. Upon entering the little shop you will be greeted by an elderly lady named Reiko Tsuzuki. 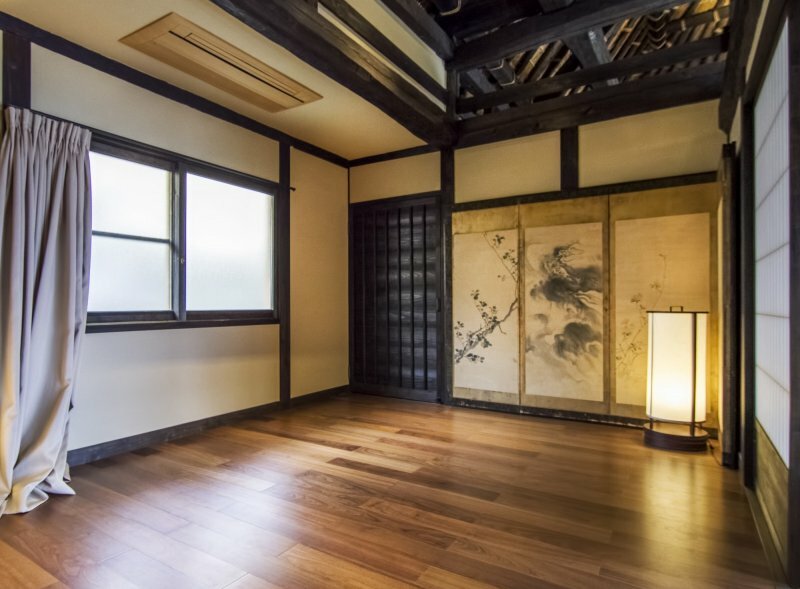 A Japanese open hearth, low tables, and cushions for seating on a tatami-matted floor creates an atmosphere that feels more like a residence. 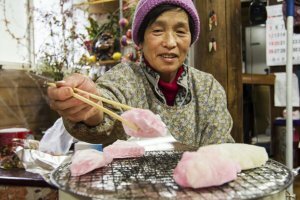 Her specialty is handmade Iya-soba (buckwheat noodle), which is something she teaches how to make at her workshop. A typical lunch meal includes the hearty noodles inside a bowl of warm savory broth; steamed rice with millet; side dishes made with various types of sansai (wild mountain vegetables); a chunk of deep-fried venison; and a local favorite called dekomawashi. 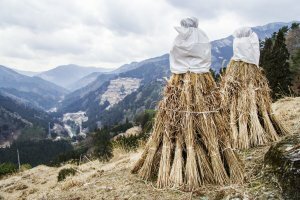 It consists of potato, konnyaku (yam cake), and firm tofu that are skewered and slathered with miso, and grilled over open fire. Everything except for soba and rice is served on bamboo leaves, which are also gifts from the forest. If you ask about the numerous trophies displayed in the dining room, you will learn that Mrs. Tsuzuki is more than a skilled cook: she is an award-winning folk singer. Upon request, she will entertain with a few regional songs that have long been sung by women to keep awake while doing the tedious job of stone-milling buckwheat. 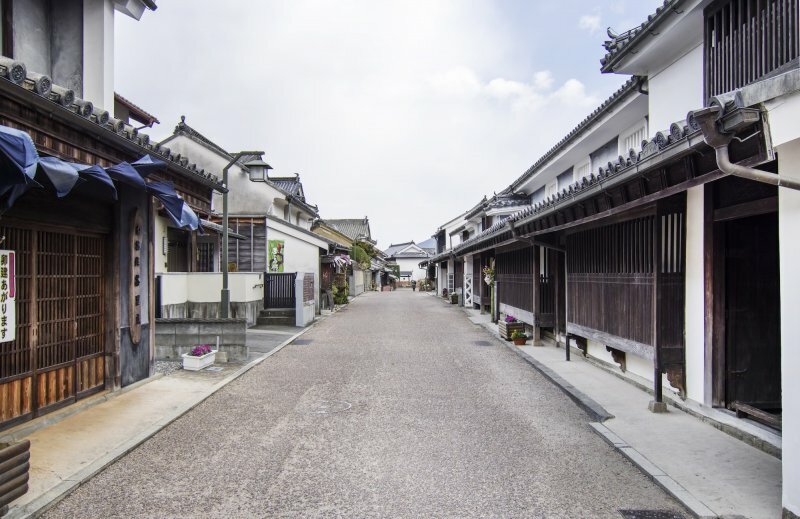 The quaint townscape of Udatsu in Mima is renowned for its nostalgic street lined with authentic Japanese houses that remain largely in their original condition since they were built during the Edo and Meiji Period. 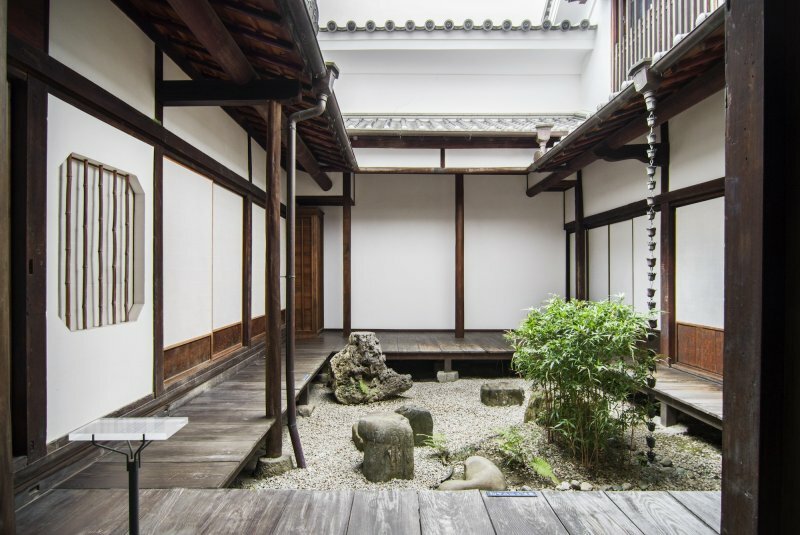 The area is mostly residential, but in 2016 it became home to a modest cultural complex that comprises an indigo dyeing studio, a Japanese umbrella making workshop, a tourist information center, and a farm-to-table cafe. 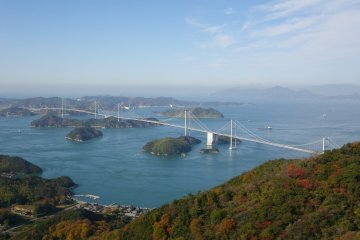 Kuruwakka, the cafe, serves macrobiotic cuisine made from organic vegetables produced locally in Mima and Awa areas. 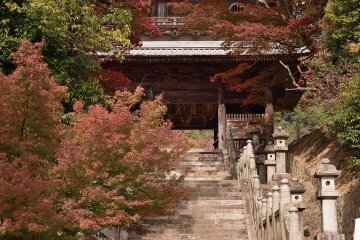 Its producer and food director Rumi Iwata left Tokyo to live in Tokushima and is active in projects that boost economic development of her new hometown. 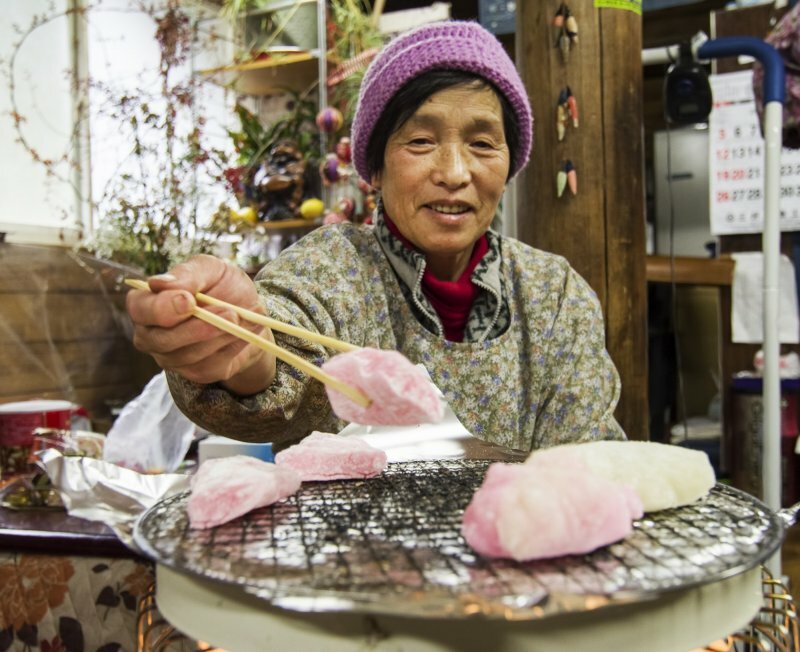 She is also a master of kasaneni, a method of cooking where ingredients with ying qualities (i.e. mushrooms and greens) are layered inside a pot followed by those with yang qualities (i.e. root vegetables, grains, and seafood). A bit of salt and minimum amount of water under low and slow-cooking, is said to bring out the fullest flavors. Her simple yet nourishing lunch meal can be tasted inside a traditional building that has been restored and retains the old-style charm. 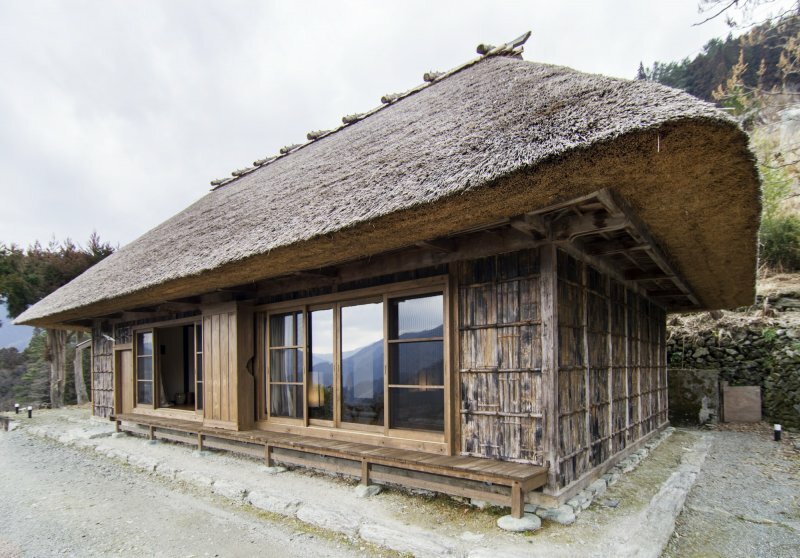 From mid-Edo Period to early Showa Period, settlers have built thatched roofed farmhouses on hillsides. 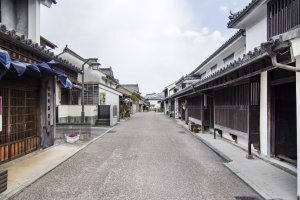 Today, eight of these 300-year old houses in Ochiai Village have been restored and fully refurbished into modern vacation homes, collectively called Togenkyo-Iya. 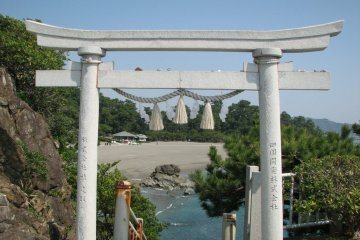 The project to preserve the rustic houses were initiated and directed by an American writer and Japanologist Alex Kerr. 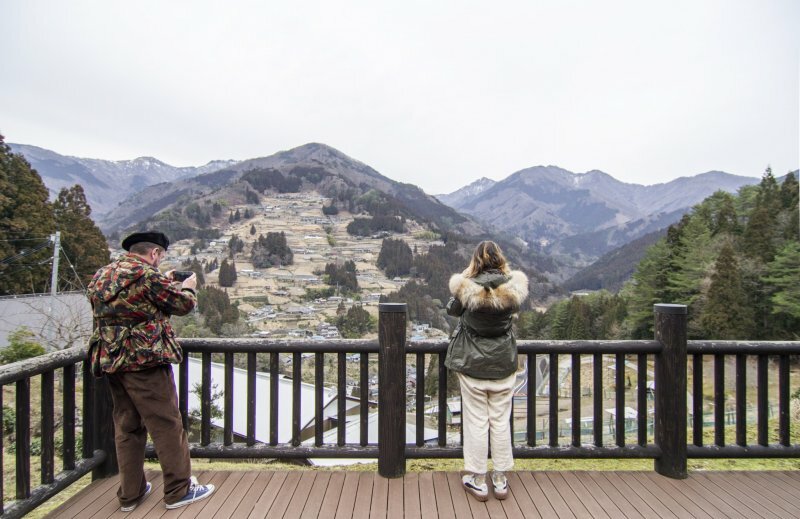 Over the years the collection of houses have become a destination place for people around the world who seek to experience slow mountain life and enjoy pristine nature. When the conditions are right, you can see early morning fog sink into the valleys and mountain tops peek out of “a sea of clouds” like islands. These guesthouses are only a portion of places to stay in the region. 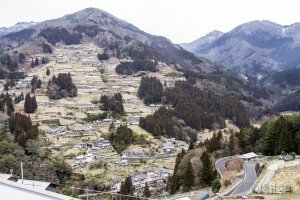 In fact, hundreds of households are part of a community called Sora-no-Sato that offer homestay and farmstay for students from cities as well as tourists from overseas. 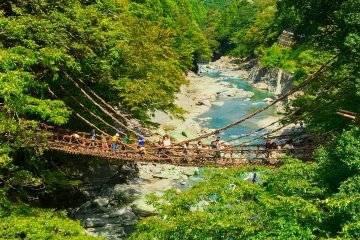 Programs designed to promote to personal interaction such as rafting on the Yoshino River and hands-on working experience on the host’s farms are especially popular. 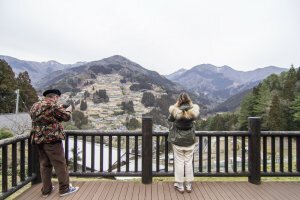 As a result of this style of tourism that values the connection between people, the area is seeing a rapid increase in the number of visitors over the past several years. 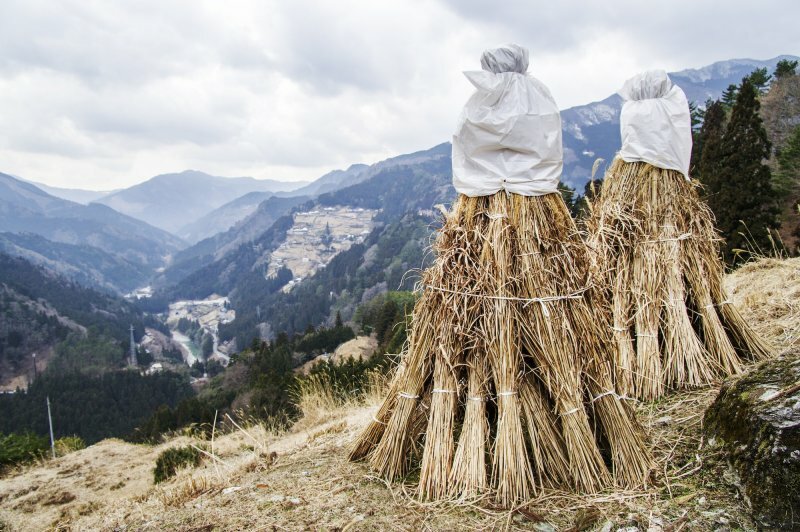 Arguably these efforts to share the rural experience with others is a significant factor that keeps the culture in Nishi-Awa region alive and dynamic.